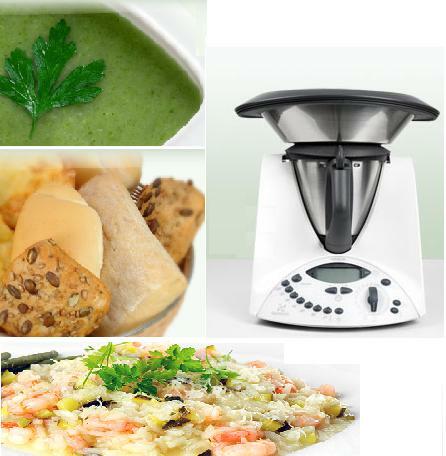 The new Thermomix TM 31 is not a food-processor – it is the perfect partner in your kitchen. Cooking with Thermomix is mere child’s play: delicious, healthy and – above all – fast. The Thermomix cooks by oneself. Cooking with the Thermomix means no burning, no over boiling at all. While Thermomix is preparing the lunch, you have valuable time for your family. It prepares dishes, also time-consuming, easier and faster than you are accustomed of the traditional cuisine. The several times patented all-in-one-concept of the Thermomix allows weighing, cutting, chaffing, kneading, stirring and heating – in one pot. Create tasty meals and even complete menus with the aid of one tool, do it without accessories. By the way: Thermomix TM 31 nearly cleans itself.